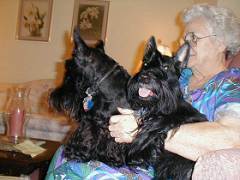 My Mom adores her wee furry grandkids. 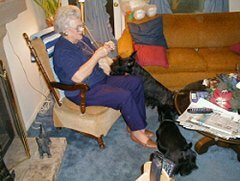 She lovingly performs woobie repair, always with two interested faces at her side. 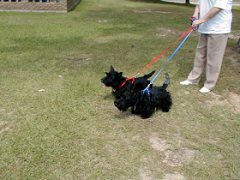 Large woobies, small woobies are repaired, then returned to the eager mouths. 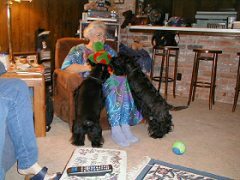 Mammaw is always the center of attention ! 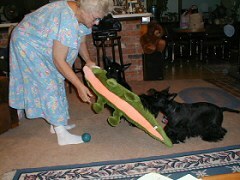 She even looks out for the woobies! 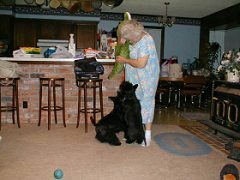 Mammaw loves to play with her fur kids! 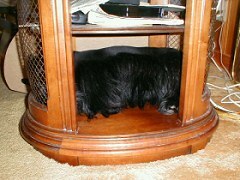 and Katie is never denied her favorite bottom shelf in the endtable. 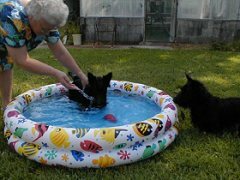 She plays pool lifeguard ! 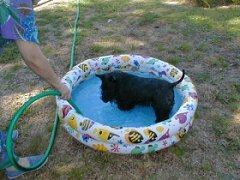 and dutifully refilled the pool after much scottie splashing. 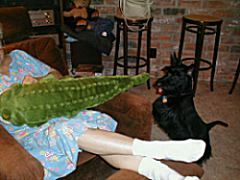 She is the towel girl and entertainment committee ! 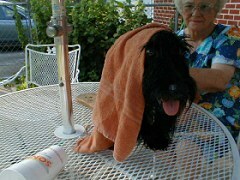 She provides a warm towel and a brisk rubdown for Katie after her swim. 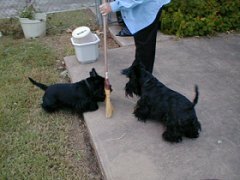 She simply KEEPS sweeping...despite the scottie BROOM attack! 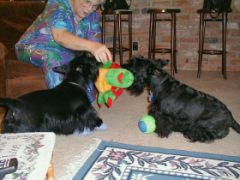 and even shares her birthday gifts with the nosy twosome. 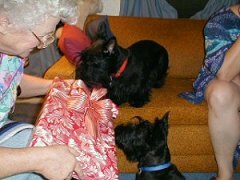 what more could scottie grandkids want! 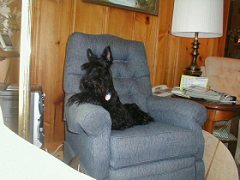 Thanks, Mom.....for sharing this scottie obsession. I Love You.